Just weeks after replacing the energy group’s ousted founder, CEO Doug Lawler is off to a great start. He can’t take credit for beating Q2 earnings estimates or rising oil output. But his vision of simplifying the fiendishly complex creation of Aubrey McClendon merited applause. Chesapeake Energy reported better-than-expected second-quarter earnings on Aug. 1 and produced more crude oil than Wall Street targeted. The second-largest U.S. producer of natural gas said oil production in the quarter rose 44 percent to 116,000 barrels per day. It raised its crude output forecast for the full year. Second-quarter profit at the Oklahoma City-based company fell to $457 million, or 66 cents per share, from $929 million, or $1.29 per share, a year earlier. 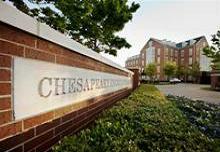 Adjusting for one-time items, Chesapeake earned 51 cents a share, ahead of analysts’ expectations of 41 cents, according to Thomson Reuters I/B/E/S.